Three months after vigilantes painted warning signs saying "SCAM" on roads near several Montgomery County speed cameras, the large stenciled letters are still visible. Though the county apparently tried to obliterate the writing, these photos show that an alert individual can see that the SCAM is still present. This is strangely symbolic of the Montgomery County Government's illegal speed camera contract. On March 15th 2008, County Executive Ike Leggett stated in response to a question about why the county was paying its contractor a 40% cut of the speed camera revenues by stating "Under the contract, we pay a flat fee". About 2 weeks later, the Washington Times broke a story showing that the county's contract with ACS State and Local Services paid the contractor a $16.25 per-ticket fee, in contempt for a provision of article 21-809 of the Maryland transportation code forbidding paying contractors on a per-ticket basis. In response to later questions, the county executive stated on March 15th that the county was renegotiating it's contract to avoid the "appearance of impropriety". Then on September 22, the city of Takoma Park was allowed to join the contract under the same per-ticket-payment terms, showing that the county was still perfectly willing to extend the existing illegal contract terms. NOW, the Montgomery County delegation to the general assembly is attempting to push another deception. First, by passing a minor change to the wording of the law which authorizes speed cameras and the terms of the contract, maryland voters are supposed to believe that the cameras will no longer be used as cash cows. At the same time, the county has started installing more cameras in Montgomery County specifically placed to trap motorists who do not react very quickly. Also, we are expected to now trust our lawmakers to pass legislation which expands speed cameras to the rest of Maryland, even though in 2008 they demonstrated bad faith by voting for statewide speed cameras AFTER the county's contract terms were known to members of the delegation, and by trying in 2008 to pass a subtle change to the legal definition of a "speed monitoring system operator" which might have grandfathered in the county's contract terms and stripped defendants of any right to request a physical operator to appear in court. Fortunately they failed in that "cover-up" as well. The next Maryland General Assembly is about to begin on January 14th, 2009. 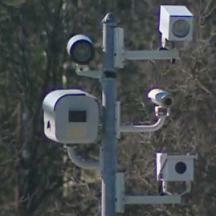 Legislation authorizing the expansion of speed cameras to the rest of Maryland will be voted on. Those who see through the deception by local and state officials need to take action now and write to their state representatives.